I'm looking for advice on an off the shelf paint color for my 1990 Star ray. it's not colonial white but a kind of very light gray. I don't need a perfect match, just something to spray the water heater door and front rock shield. the previous owner sprayed an off white color that really stands out. I looked at all the spray bombs at home depot the other day and nothing looks close. didn't really want to get something custom made if I could avoid it. I had the same issue trying to find paint so what I did was remove a tail light and cut a small piece of metal behind the light out (cuts easy with scissors) took it to a paint store they scanned it and made a gallon pretty simple procedure took about 10 minutes. It is an off gray there was nothing out there that matched or even came close. Thanks for the reply. I had thought of that and I've had paint mixed at the local NAPA with good success. I couldn't find anything to take off to use as a sample, but your suggestion is a good option. Mainah, We're camping at Eastern Slopes this Memorial Weekend so we'll be in your neck of the woods. I may post a review later if anyone is interested. I used exterior house paint from HD! Been on there now for about 6 years. Hey stop by I'm about 15-20 minutes away. There are two nice camp grounds with in 1/2 mile from me right on the Saco river! I actually do electrical work for one of them. A number of years ago I had a 1990 model that was the light grey. I found a pretty close match spray bomb at an RV dealer. I think it was Gayle Kline in Lancaster, PA. I know it was a dusty can on a shelf at the time, but it worked. You might try an RV dealer to see of they have anything that would be close. I don't think I have any light gray though, just the darker gray and charcoal. Just to be clear, one can use a spray can to repaint the camper? I need to paint the section of the front wall from the rock guard up to the roofing material and I wasn't sure how to prep the current coating (or lack thereof) so that it would provide a lasting finish. Where are you in MD? I'm actually flying in this afternoon My sisters both live in Joppa (near Bel Air). Looking forward to steam crabs and Old Bay. As far as paint a real good cleaning, fine steel wool,clean again, primer then paint. Cool, thanks! I'm south of Baltimore, halfway to Annapolis. 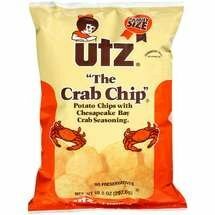 Enjoy the crabs and see if anyone can rustle up a bag of Utz Crab Chips to take home with you! Yep and some Old Bay to take home! Digmenow, We're close by, I'm in Severn, grew up in Severna Park. As a youngster I grew up in Towson all most across the street from the collage.